Lucy is our Head of Marketing & New Business and works across MullenLowe Group UK leading the agency’s business growth strategy and working to positively elevate the MullenLowe brand within the UK market. Undeniably a people person, Lucy has relentless drive and optimism (and often far too much energy…) and throughout her 13 years in the industry has always been ambitious and thoughtful with a genuine determination to do things well and drive results. 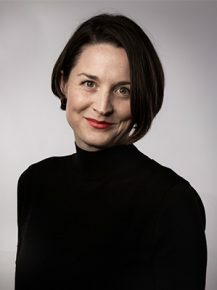 Having cut her advertising teeth working on Sky1, Sky Brand, Sky Product and Sky Sports she then turned her attention to new business and prior to joining the team at MullenLowe, was most recently Head of Marketing & New Business at VMLY&R and held the same title previously at Y&R London. Formerly, she was New Business Director at Brothers & Sisters. During her time at Y&R London, she led multiple pitch wins including TUI, Chanel No5, Premier League, Visit England and JD Williams. At Brothers & Sisters, she led successful pitches for Carphone Warehouse, Sony PlayStation and Virgin Active.